Be interesting to see this computed for data for early periods. By which I mean, look at the wider historical picture, Britain seems about as “egalitarian” as Sweden between 1900 – 1960 in top 1% income distribution in Piketty, on the same trajectory as Netherlands and Denmark in top 1% until 1980 in our World In Data, lower Gini Coefficient than most Nordics until about 1990s in some data. If it was the case that the rank order of inequality had always been the case in Europe, as far as we could know, then it would be intuitive how it would carry over to the USA. But that rank order of inequality in Europe does really not persist over much longer than 2 generations and is a recent phenomenon considering even the 20th century. 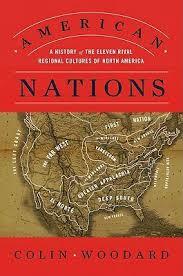 Possible that American ethnic groups could shadow European nations even though inequality divergences between Nordics and others are a very recent (and questionable) phenomenon. 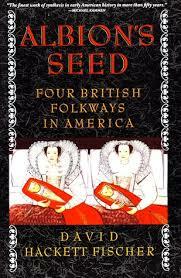 Different culture groups may still respond to changes in world economic environment in similar ways. 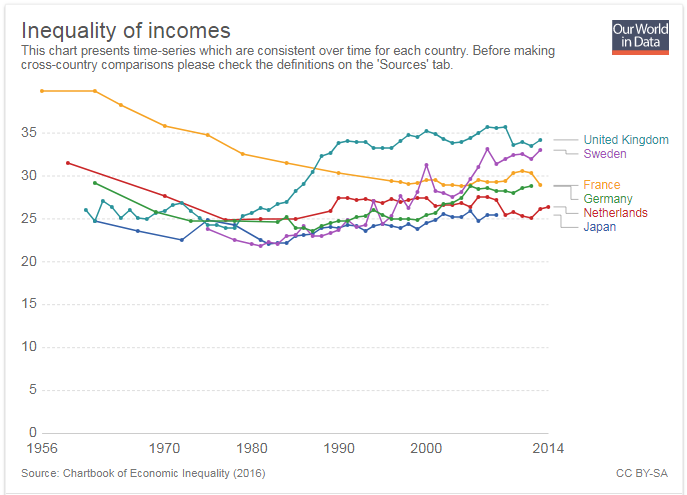 The main difference in Gini seems to be due to tax systems with same pre-tax and transfer gini (gini of market income same in Nordics and Anglo nations), so the channel for inequality shadowing would have to be governmental attitudes and response to a specific shift in those in the 1970s-1980s? 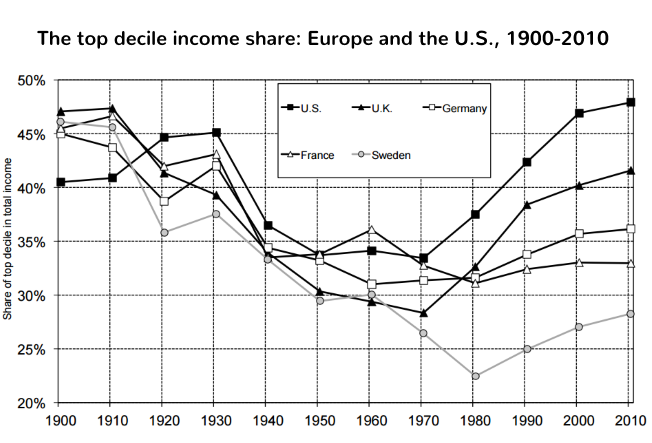 Note how US, Australia, Canada all tend to have some parallel change in evolution of income inequality post 1970s. 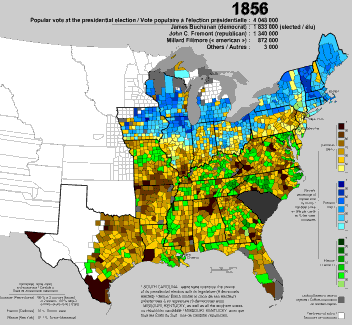 There doesn’t seem to be a lot of correlation between non-anglo populations and vote for Eugene Debs in the 1912 Presidential Election (http://geoelections.free.fr/USA/elec_comtes/1912debs.htm) in the Old Southwest. 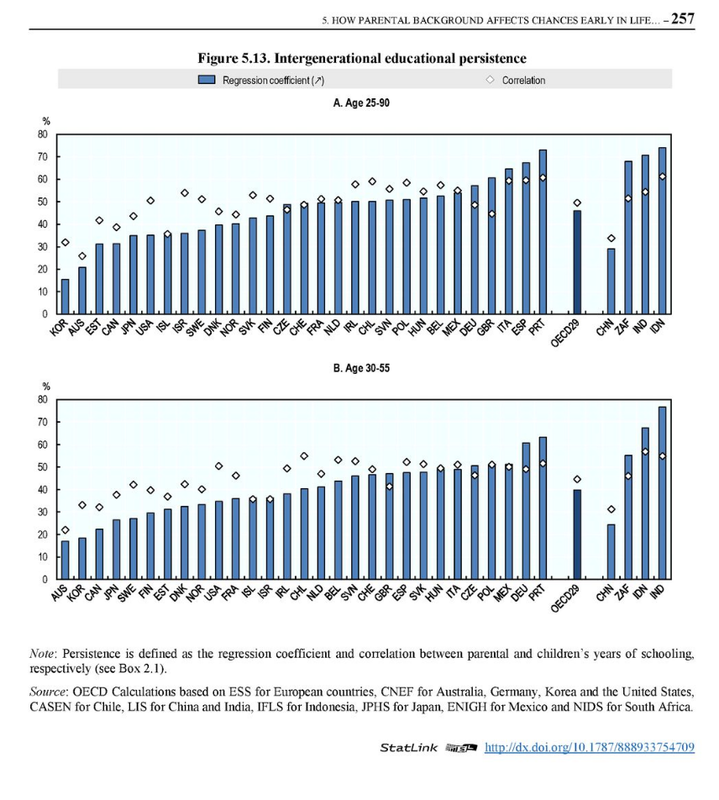 When it comes to the mobility aspects, to consider is the OECD’s big mobility report this year: http://www.oecd.org/social/broken-elevator-how-to-promote-social-mobility-9789264301085-en.htm. That dealt some serious body blows to the idea of a Franco-German (particularly German) model with stronger earnings mobility than the US, Australia, Canada, NZ, UK. France and Germany are majorly revised towards the lowest earnings mobility in the OECD, despite low gini, and “Gatsby Curve” becomes driven almost entirely by low development countries on the one, and the Nordics on the other, with what looks like a positive relationship between gini and mobility for the remaining OECD – https://i.imgur.com/oZ8PLRj.png. 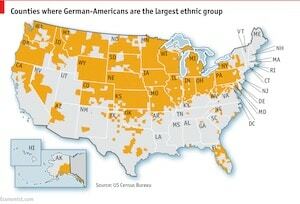 (Note low earnings mobility combined with low gini is also characteristic of the former Austro-Hungarian region). Germany seems to have a particular issue with “sticky floors” (those born into families with lowest earnings stay in that earnings quartile) and “sticky ceilings” (same for the top): https://imgur.com/a/osn724R. Britain has a fairly sticky ceiling but mobility out of the sticky floor in earnings into other earnings classes is actually not so low (relatively high within the OECD 16). 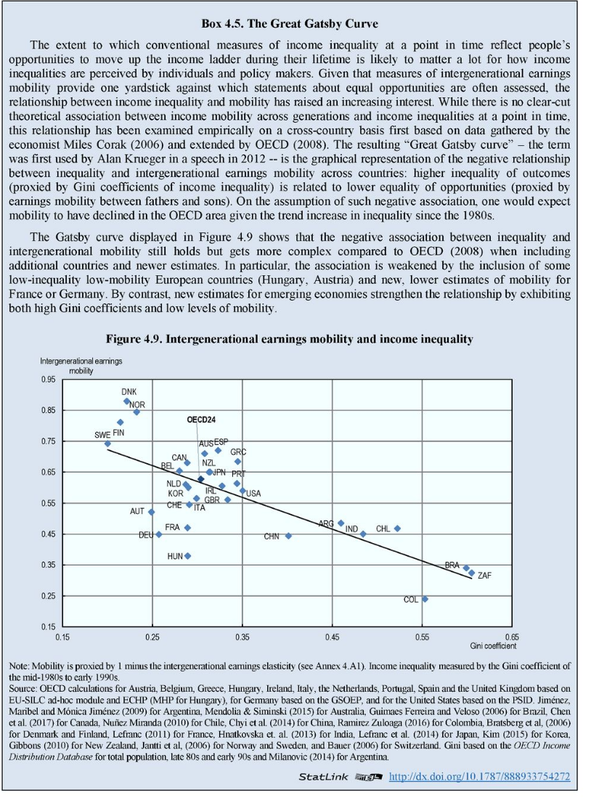 The report also considers mobility of social class by changes in occupation and occupational prestige, you also see a different picture emerge in the OECD study, where Britain has relatively low occupational class persistance – https://imgur.com/a/XHpZZY7 – in contrast to the picture in earnings and education. Germany is lower than Britain in occupational class mobility, but not as much lower as France is. 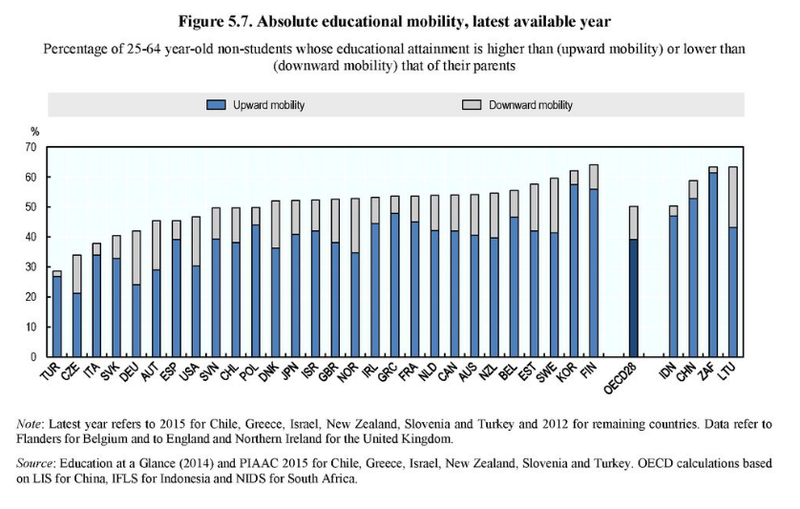 Finally, educational mobility tends to be rather low in Germany as well, considering both an absolute measure – https://i.imgur.com/1rwyfju.png – and a correlation measure – https://i.imgur.com/k66m3nW.png. In the absolute sense, mainly because of less increase in education in Germany, and lower absolute upward education mobility.